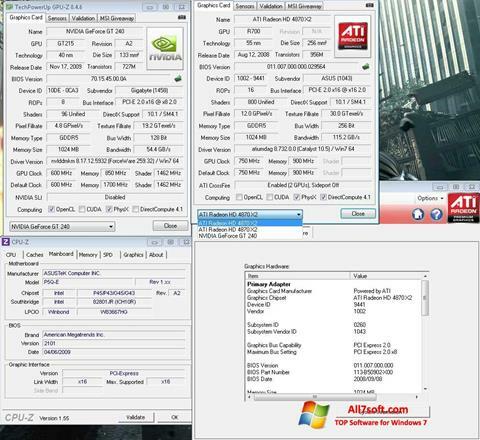 GPU-Z for Windows 7 - utility to display detailed information on the installed video adapter. The application uses its own online database of supported devices, includes the ability to generate a summary report and test individual adapter components. The program can read the full characteristics of the installed chip and video memory chips, and is capable of displaying sensor readings and power consumption parameters of individual components. The utility does not require installation into the system, it can save the video card's BIOS and allows for the comparison of indicators with the publicly available base. You can free download GPU-Z official latest version for Windows 7 in English.